Sunroof, Heated Seats, Rear View Camera, Bluetooth, SiriusXM! With so many generations throughout the years, the Golf has become so versatile to a point where there is a Golf for everyone and fill every need. This deep black pearl hatchback has a manual transmission and is powered by a 147HP 1.4L 4 Cylinder Engine. 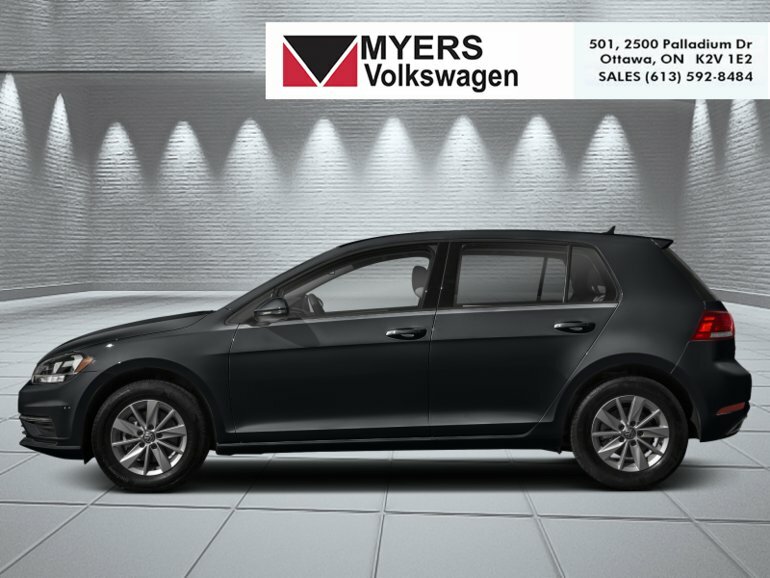 Our Golf's trim level is Highline 5-door Manual. 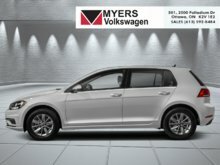 Upgrade to this Volkswagen Golf Highline and get treated to a host of premium features such as elegant aluminum wheels, a power sunroof with sunshade, rain detecting wipers with heated jets, LED brake lights, fully automatic headlamps, front fog lights, cornering lights, a 6 speaker stereo with an 8 inch touchscreen, App-Connect smart phone connectivity, Bluetooth, heated front adjustable comfort seats, a leather wrapped steering wheel, dual zone front automatic air conditioning, cruise control, power fuel remote release, metal look interior panel inserts and accents, an auto dimming rearview mirror, proximity keyless entry and push button start, front and rear power windows, a rear view camera and much more. This vehicle has been upgraded with the following features: Sunroof, Heated Seats, Rear View Camera, Bluetooth, Siriusxm, Aluminum Wheels, Air Conditioning. 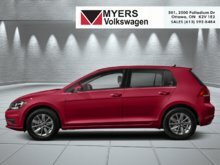 Interested in the 2019 Volkswagen Golf Highline 5-door Manual ?